The Beauty of A Second was an online competition that ran over the course of several months towards the end of 2011. Essentially a method to drive interest in Montblanc’s new chronograph watch, the Nicholas Rieussec, people were invited to “seize the moment” and create a one-second video (using any digital format) on any subject so long as the video highlighted the “beauty of a second”. As well as the individual 3300 videos submitted, people were also invited to choose between 2-60 of the videos and create a playlist (which were also judged). As part of the creative process for these playlists, people were invited to choose music from Montblanc’s audio library. 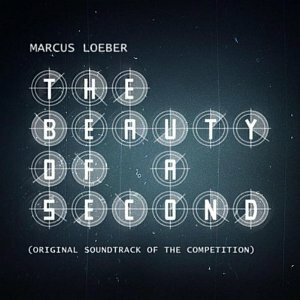 The album The Beauty of A Second features 12 cues composed by German composer Marcus Loeber that were used to accompanying many of the video playlists, as well as during some of the internet-based promotional material (“Nicolas Rieussec (Original Theme)”). Composer Marcus Loeber’s 20-year experience in composing music for commercials, together with his focus on piano (he has released several albums featuring compositions for solo piano) has resulted in a series of tracks based around piano that quickly establish feeling and emotion. This is necessary since these pieces have been composed to be used in videos that can be as short as 2 seconds or only as long as 60 seconds. The majority of the tracks have a strong rhythmic aspect to them that drives the music forward and gives the videos that they support energy and cohesion. This latter property is particularly important as it glues together clips that can be a bit jarring because of the variety of some of the clips. “Watching The Flow No. 4 (Extended Mix)” and “Tourbillion (Extended Mix)” are good examples where Loeber weaves a variety of rhythms from synth percussion and what sounds like a glockenspiel around a base solo piano thread. These rhythm-based tracks all give the feeling of the passage of time that links in with the whole idea behind the competition (and the product). As well as the extensive use of rhythm, the careful use of certain instruments and motifs also reinforce the idea of time and timepieces: for example, the glockenspiel motif at the beginning of “Watching The Flow No. 4 (Extended Mix)” and “Watching The Flow (Competition Version)” evokes the sudden ringing of an alarm clock at the start of another day. Some tracks however do have a more emotional feel to them rather that the driven energy of tracks such as “Tourbillion (Extended Mix)”. “At The Very Moment (Minimal Piano)” and “Moment (Solo Piano)” have a delicate quality that’s clearly aimed to those competitors requiring a slower-paced, more reflective mood for their video compilations. These moodier pieces tend to be played on solo piano and a significant number of cues on the album feature only piano, including some versions of larger scale orchestral versions created for the competition itself (e.g., “Hands (Orchestral Competition Version)” and ”Hand (Solo Piano Version)”). It is the solo piano tracks that linger in the mind once the album has come to an end. There’s a simplistic quality in tracks such as “Hands (Solo Piano Version)”, “At The Very Moment (Minimal Piano)” and “Moment (Solo Piano)” that (paradoxically) are timeless and I found myself being lost in the moment. It is at these times the album is at its strongest. Unfortunately, the occasional use of obviously synth-derived strings is grating and gives a cheap sound (e.g., the various orchestral versions of “Hands”). Also, the majority of the tracks featured in The Beauty of A Second tend to be static even though much of the music has a driven quality (again paradoxical for a project such as this): although there’s the energy of the rhythms, the music tends not to be developed on from the ideas set out at the beginning of the cue. Rather, the music repeats several times, probably to allow for the tracks to be edited down to the length of the videos created. The slower, more emotional tracks succeed in avoiding this. The Beauty of A Second therefore is a mixed bag; a collection of short “competition” cues, tracks where some of these ideas have been taken and expanded them up but not necessarily developed in a satisfying way, but there are some tracks that are capable of leaving a mark on the listener. In the end it is the tracks that feature solo piano that make this album worthwhile and I would recommend this album (with some reservations) for these solo pieces alone. The Beauty of A Second is available from a variety of online digital stores and many of the videos can be viewed on YouTube.